“How to Get Your Roof Fixed” published by Houzz.com, Feb. 21, 2017 provides a ‘beginner’s guide’ for homeowners to keep their roof systems intact and their homes dry. The article provides detailed information on identifying the location of a roof system leak, and recommends contacting a professional roofing contractor if climbing up onto a roof is necessary, as well as to replace any lose or missing shingles. Additional information on how homeowners should address roof system damage due to a weather event such as a hailstorm, strong winds or a tornado also is provided. NRCA agrees with the information provided in the article. In addition, it is important to point out that specifics matter when it comes to different types of roof systems commonly found on residences. For example, not all metal roofs are comparable. A metal roof may describe a metal shingle roof or standing-seam metal panel roof. The materials and skill levels necessary for a quality installation or repair and expected service life lengths vary greatly depending on the type of metal roof system. Homeowners should keep this in mind when hiring a roofing contractor. It is also to a homeowner’s advantage to work with roofing contractors who are members of roofing associations such as NRCA. Roofing contractors that are association members are established businesses whose success was built on quality work and good customer service practices and they care about the professional image of the roofing industry. In addition, homeowners should ask for references and find out other homeowners’ experiences with a prospective roofing contractor. Reputable contractors place a high value on the customer experience since a large amount of their business is obtained through referrals. Homeowners may locate NRCA roofing contractor members by visiting http://www.everybodyneedsaroof.com. To read the article in its entirety, click below. NRCA’s CEO Bill Good recently provided his perspective on natural disasters affecting the construction industry as part of the recent feature “Roofwork: Contractors stay busy, especially now,” published in the newspaper Reading Eagle. The article highlights the hailstorm that struck parts of residents of Berks County, Pa. Good focuses on several factors that affect the construction industry’s market cycle. Natural disasters almost always lead to work for roofing contractors. “If everybody’s home is repaired because of a storm, there’s no business until the next storm, and we don’t want that,” Good says. Good believes natural disasters can create a lot of short-term business, but it’s not beneficial in the long run because disasters sometimes are followed by what Good calls “storm chasers,” people who show up after storms to fix damaged buildings. According to Good, there are several ways to address this disruptive market issue. These include waiting for established professional roofing contractors to repair the damage rather than choosing someone going door to door. Good advises hiring a reputable contractor before making a hasty decision to get a roof repaired quickly. Tips for hiring NRCA roofing professionals are found on http://www.everybodyneedsaroof.com. In anticipation of the severe winter storm that will hit the East Coast, NRCA is encouraging homeowners and business owners to check their rooftops for heavy snow and ice dams that can cause major damage to a structure’s roof and gutters. Ice dams are a problem with significant snow accumulations during extended periods of below-freezing temperatures. They form when roof areas become warm enough to melt snow, typically because of the combination of the insulating effect of heavy snow accumulation and heat loss from a home’s interior. Melted snow runs down the roof under the snow cover and refreezes along overhangs where the roof surface temperature is lower. The water from the melting snow becomes trapped behind the dam of ice and can back up under shingles and infiltrate the underlayment, leading to leaks in the structure. If ice damming presents an urgent problem and demands immediate action, it is advisable to remove the snow accumulated on the roof to prevent additional water backups. However, snow removal from a rooftop should be attempted only if it can be done safely from the ground level with a roof rake or an extended-handle broom. NRCA does not recommend using ice picks, shovels or any tool with sharp edges that may damage roof coverings. NRCA strongly recommends contacting an NRCA member if the snow or ice cannot be safely removed from ground level. For additional information about winter weather roof maintenance and to find a local NRCA member roofing contractor, visit NRCA’s consumer website at http://www.everybodyneedsaroof.com. 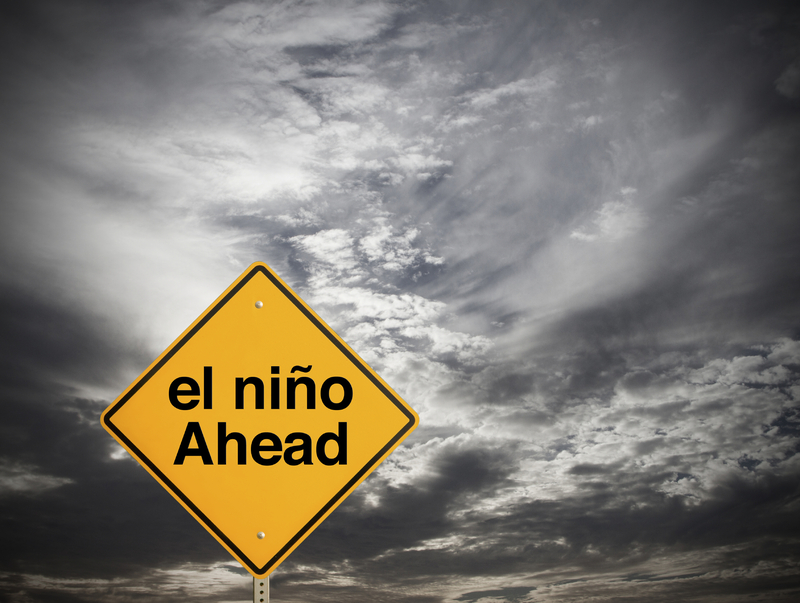 The southern part of the U.S. is expected to experience extreme heavy precipitation during the winter months because of the impending El Niño season. NRCA is urging homeowners and business owners to take action as early as possible in preparing their roof systems for the expected rainy weather. In some areas of the U.S. it is currently taking months to secure an appointment with a roofing contractor for a roof system repair or replacement. If consumers believe they are in need of roof system maintenance to prevent leaking or additional damage to their property, NRCA recommends contacting a professional roofing contractor as soon as possible. However, NRCA warns it is common for unprofessional contractors to take advantage of unsuspecting and distressed homeowners and do less than proper repairs on roof systems. A list of criteria to consider when hiring a professional roofing contractor, as well as NRCA member contractors by geographic area, can be found at NRCA’s consumer website www.everybodyneedsaroof.com. NRCA also recommends cleaning out all gutters and downspouts throughout the El Niño season to ensure rain water will properly drain from roofs. In addition, NRCA strongly advises against homeowners climbing up to their roofs to perform inspections or to remove debris and urges homeowners to contact a professional roofing contractor to perform these tasks. With winter in full swing, the NRCA is reminding homeowners to minimize damage to their roof systems by preventing ice buildup during the coldest months. NRCA recommends making sure a roof is properly insulated and attics are properly vented. Insufficient insulation and venting can contribute to the melting of snow closest to the roof surface and can cause an ice dam, or an accumulation of frozen water at the edge of the roof that prevents water from running off. 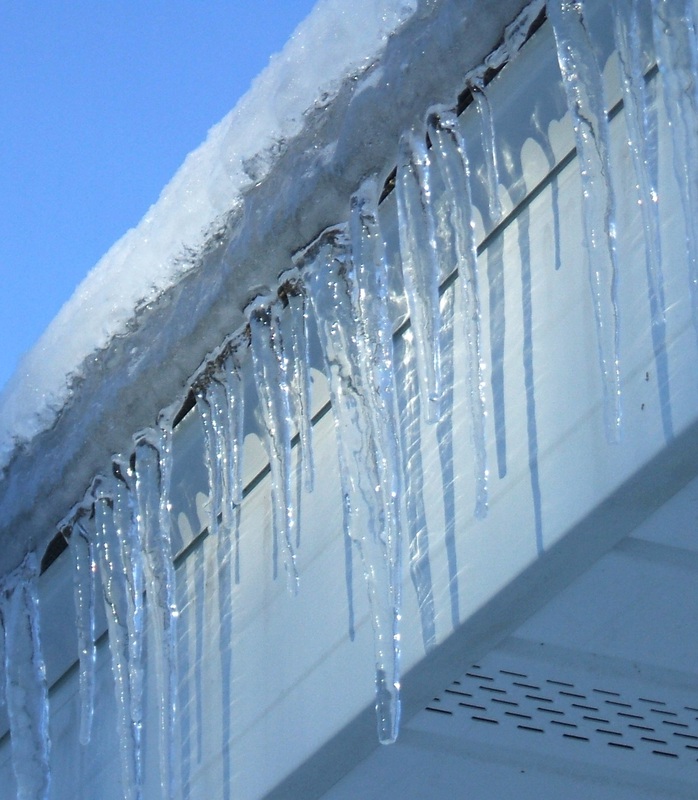 Throughout the winter, homeowners should check their roofs for ice dams. Where ice damming presents an urgent problem and demands immediate action, it is advisable to remove snow accumulated on the roof to prevent additional water backups. Snow removal from roofs should be attempted only if it can be done safely from the ground level with a roof rake or an extended-handle broom. NRCA does not recommend using ice picks, shovels or any tool with sharp edges that may damage roof coverings. NRCA strongly recommends contacting an NRCA professional contractor if the snow or ice cannot be safely removed from the ground level. To locate an NRCA professional contractor, homeowners can visit NRCA’s consumer website at www.everybodyneedsaroof.com. The changing autumn leaves are a beautiful sight. However, in a few weeks, these same leaves will fall to the ground, onto your roof and into your gutters, possibly damaging your roof system during the fall and winter months. 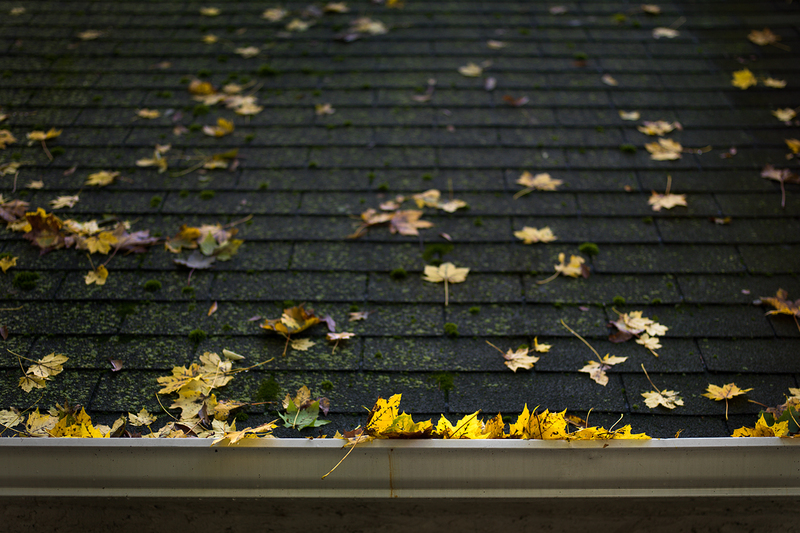 Leaves on a roof system’s surface can retain moisture and cause rot, and leaves in gutters block drainage. This can cause an additional problem with ice damming if debris is not cleared by the winter months. In addition, falling branches from surrounding trees can damage or even puncture shingles and other roofing materials. NRCA recommends all homeowners and building owners inspect their roof systems to make sure their roofs are free from autumn debris. If a roof system inspection or debris removal cannot be done from a ground level, NRCA strongly advises contacting a professional roofing contractor. Additional information on homeowner roofing safety can be found at http://www.everybodyneedsaroof.com/News/Details/1020.